DAVID LE/Staff photo. 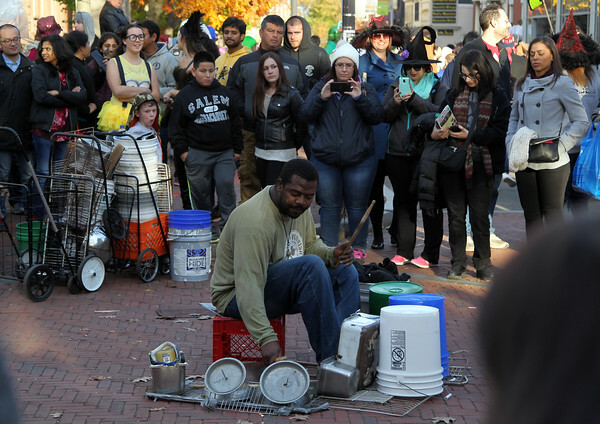 A crowd gathers around a street performer at the beginning of the Essex Street Pedestrian Mall on Saturday afternoon. 10/31/15.